Clean eating diet is a lifestyle way of eating, one the greatest health decisions you could possible decide to make. Do you end up stuffing yourself on a frantic day? Does the seemingly endless work load makes you want to eat more and more every day? The cure to the dilemma of obesity is laid out in this book with extensive focus on diet, its importance to our metabolic mechanism and how food can be a source of replenishment for our bodies. The book is a guide for all those who are eager to lose weight without having to go through the ritual of the 'dieting phase'. 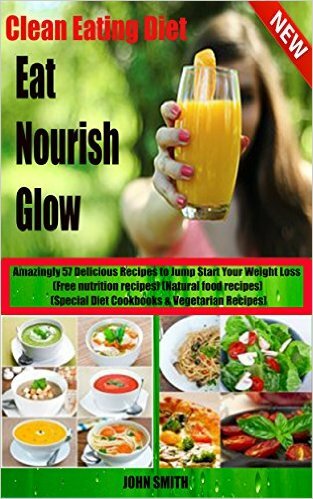 • Vitamin and mineral-enriched Fruits and veggies- Smoothies, salads, main courses and cocktail recipes to slim down and hold back your glowing skin! • Week planning together with tempting recipes formulated to help you skin down!